Humanity can be rather harsh on its own home. More often than not, we eat hurriaway at our own life support systems at an unprecedented rate, causing enormous levels of environmental degradation. Environmental degradation is a term used to describe the many ways in which our natural environment is compromised. The direct consequences of this process are the significant reduction of biological diversity, as well as the destruction of the general health of the environment. Even though environmental degradation can also have natural origins, human intervention often makes the situation much worse. Environmental degradation is recognized by many international organizations as a leading threat to our planet. Earth is the only planet we have, and compromising its natural environment could eventually mean the end of human existence. Environmental degradation is a direct effect of the depletion of Earth’s resources. While minerals and oil deposits are vulnerable to depletion through overuse, a similar situation occurs with water, air, and soil. Habitat inconveniences which force animals to live in small areas also fall in the category of resource depletion. Cornered wildlife usually consumes a high amount of natural material in a small area. In the end, degradation is the main cause of the destruction of ecosystems and it can lead to the extinction of certain animal and plant species. There are many ways in which Earth’s natural environments are hurting. We are going to talk about a few forms of environmental degradation, as well as the solutions that might help put an end to it. Problem: The depletion of potable (fresh) water is one of the most urgent examples of environmental degradation. Statistically speaking, more than 97 percent of Earth’s water is salt water. Of the remaining 2.7 percent of fresh water, almost 70 percent is stored in ice caps. Therefore, we’re left with one-third of fresh water, which is why it’s no surprise that one in 3 people currently face a water shortage. Solution: The topic of groundwater depletion is best approached with a two-fold solution. While governmental involvement is crucial, each individual also has a responsibility. On one hand, people should learn to be more aware of their water usage. On the other, laws for the pumping of groundwater should be stricter and be backed up by specific regulations. Researchers are also looking for alternative water sources that could ease the strain on aquifers. This could help accelerate the replenishing of aquifers as we learn to better pace our usage and set firm limits. At the same time, it is necessary for the public to have a better understanding of the problems our groundwater supply is facing. We need more funding for initiatives that not only research the state of our groundwater supply, but also look for sustainable ways to use less of it. Problem: The thinning of our planet’s ozone layer has been a permanent problem over the past few decades. The depletion of our ozone layer is linked to the discharge of certain carbons that are commonly used as refrigerants, solvents, and insulating foams. When these chemicals enter the stratosphere, their exposure to ultraviolet radiation causes them to begin destructing the ozone layer. Solution: As with potable water depletion, the responsibility for stopping the ozone layer depletion lies on the shoulders of individuals and governments alike. People can contribute by not using products that contain human-made substances that destroy ozone molecules. Governments, on their side of the fight, can ban the use of said substances, as well as enforce regulations that make sure the equipment that contains them is safely disposed of. Problem: Pollution – of any kind – is a term we’ve all become more than familiar with. However, air pollution is a great part of environmental degradation. It occurs when dust, smoke, or harmful gases enter the atmosphere, causing plants, animals, and humans to breathe dirty air. 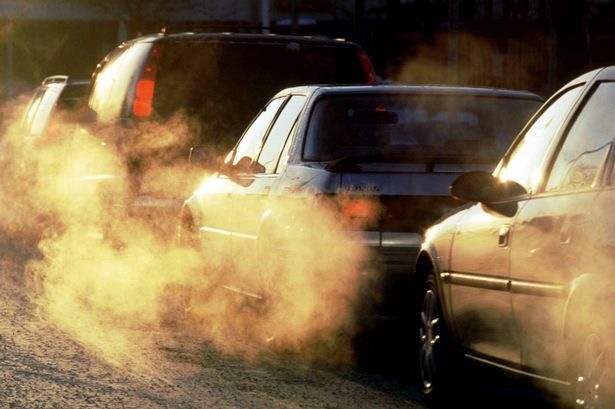 In our day and age, a large part of air pollution comes from vehicles (trucks, cars, trains, airplanes) and factories around the world. Solution: Even though it’s just one way of helping, ever bit counts. Use public transportation instead of your own when going to work. Air pollution is also drastically reduced by conserving energy. It’s the little things, like switching off fans and lights when you are not at home. Electricity causes the burning of large amounts of fossil fuels, which in turn pollute the air. Problem: Environmental degradation also has to do with the high rate of deforestation. Cutting down trees is an activity that deeply hurts the Earth’s forests, as we try to make way for more homes and industries. Two of the major causes of deforestation are urban sprawl and rapid growth in population. Deforestation is also a leading contributor to global warming. Fewer forests means more carbon sent back into the environment. Solution: While individuals can rarely have a personal impact on the deforestation rate, there are other things you can do. Discourage deforestation – and thus environmental degradation – by reusing plastic and paper bags and packaging. Support eco-friendly businesses and buy products that are either recyclable or have a longer durability. Problem: Landfills are a negative factor in the fight to keep our environment intact. Thanks to the large amount of waste that we generate, landfills have come to pose a great risk to the environment and people alike. Besides the huge environmental degradation caused by the burning of the trash, landfills are also a source of foul smell that causes air pollution. Solution: Food is the number one item that ends up in landfills, as people carelessly toss it away without thinking twice about it. Instead of throwing away food, donate it to organizations that would help feed millions of needy people. Watch the documentary below made by Stephanie Soechtig to see the deeply ingrained problems caused by food waste in America. Whether you believe it or not, old clothes are also a big contributor to landfills. Instead of throwing them in the garbage, make time to donate clothes to people in need or to Goodwill stores. After all, another man’s trash is another man’s treasure. Environmental degradation is one of the greatest challenges that faces humanity today. This is a major issue of concern as it can lead to ecological degradation as well as increasing societal vulnerability. All in all, it can affect us, humans, in many ways. Environmental degradation has led to the deaths of many over the years. There has also been an increase in illnesses as well. While the health risks caused by hazardous and solid waste is usually low and contained to a specific area, garbage left unattended to and the blockage of sewer drains can spread more disease. The accumulation of waste also leads to increased pollution, of all types. Waste, while decomposing, can leak harmful gases into the air. Mix that with the constant carbon emissions in big cities and it can pose serious health risks to humans. In some instances, death has occurred because of it. Many people from urban environments suffer from respiratory conditions because of a wide range of pollutants. These pollutants can come from any number of sources, including industrial activities. Almost 6.5 billion people across the world are currently malnourished. While it may not be the direct cause of death for many of those people, one of the effects of malnutrition is the increased vulnerability to deadly diseases. These diseases can include acute respiratory disease, malaria, cancer, among many others. The availability of clean water also factors into malnutrition. 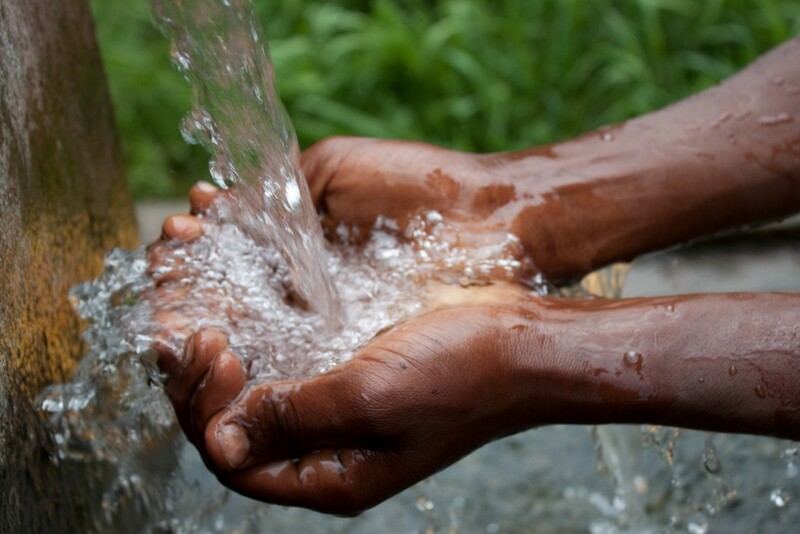 As freshwater becomes less and less, some areas are forced to use dirty water. In fact, waterborne infections account for 80% of all infectious diseases. The increase of water pollution creates the perfect environment for malaria-carrying mosquitos, which kill about 2.1 million to 2.7 million people every year. In addition, pollutants from the air kill more than 5 million people every year, unfortunately, more than half of them are children. Also, as soils become infertile, due to desertification, farmers are unable to adequately grow food. In Africa, many villages rely on local farmers. However, many are forced to slash and burn the Earth in search of new, fertile soil. This leads to an increase in deforestation as well as malnutrition, as the populous is unable to get the right amount of food needed to survive. Environmental degradation also leads to a very terrible loss, a loss in biodiversity. Animal and plant extinction can reduce or, at least, affect the development of new drugs. For example, the tropical rainforests have often been referred to as the “world’s pharmacy”. This is because over ¼ of all natural medicines have been discovered there. Many plants that are only found in the rainforest, have been proven useful in many cancer treatments. Also, only about 1% of all plant life, just in the rainforests, have been tested for their medicinal properties. In addition, many fruits and vegetation found in the rainforest, you might find in your kitchen right now. Bananas, avocados, cacao, coffee, papaya, among many others. With the continuation of deforestation, we could see the endangerment of many of those plants. And with 99% of the plants left unstudied, we are putting ourselves at a great disadvantage. People can try to discredit global warming all they want, but the fact remains. Natural disasters, being hurricanes, tropical storms, tornadoes, among others, are becoming more frequent and more powerful. Weather, in general, is changing drastically. Just last winter in Pennsylvania, there were extremely unseasonably warm temperatures in February. In fact, on more than one occasion, the temperatures in southern Pennsylvania were the same as Puebla, Mexico (roughly in the middle of Mexico). The number of recorded natural disasters and extreme weather conditions have risen much over the years. Between 2000 and 2010, storms and flooding accounted for 80% of the reported 3,496 disasters. This is also due to the water level of the seas rising. There is also growing evidence that the power of hurricanes is increasing, in part, due to the warmer temperatures. There is an economic issue to this as well that should not be overlooked. Five of the worst storms in U.S. history have caused a total of $294 billion in damages. Katrina in 2005, Sandy in 2012, Andrew in 1992, Ike in 2008 and Ivan in 2004. NASA has even chimed in saying that even if there is not a significant change in a number of tropical storms in the coming future, many of the effects of climate change could make them more deadly. Melting glaciers and ice caps will most likely cause the sea levels to rise. This would result in coastal flooding becoming more severe. Back in 2001, a report from the Intergovernmental Panel on Climate Change stated that global warming should cause sea levels to rise 0.11 to 0.77 meters (0.36 to 2.5 feet) by the year 2100. We have already seen some of this. In 2014, the global sea level was 2.6 inches above the average in 1993. It has been recorded that the sea level continues to rise about ⅛ of an inch every year. It is a universal understanding that higher sea levels mean more deadly and destructive storms will push further inland, which will also cause an increase in flooding. Sea level rising is also a serious issue on its own. Almost 40% of the population of the U.S. lives in high-population-density coastal areas, where sea level plays a huge role in flooding, shoreline erosion and hazards from storms. In fact, globally, eight of the world’s ten largest cities are near a coast. As we said in the introduction, we only have one planet. When its resources will become depleted, we will wish we would’ve reevaluated our priorities a long time ago. While the government can be more mindful of this great threat, you can do something about it, too.